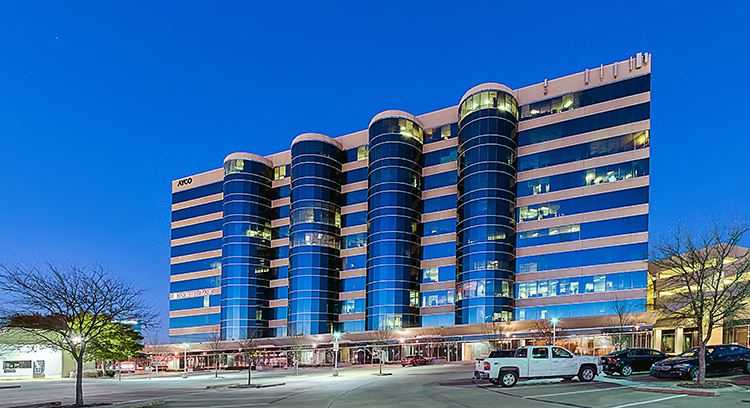 Tanglewood Property Group of Houston has acquired Preston Plaza, a Class A office building in Far North Dallas. DALLAS – An affiliate of Tanglewood Property Group of Houston has acquired Preston Plaza, a Class A office building in Far North Dallas. CBRE’s Eric Mackey, Gary Carr, John Alvarado, Jared Chua and Robert Hill represented the seller, Caddo Holdings of Dallas. Built in 1986 and renovated in 2015, the building has 259,009 SF of office space, which is 91 percent occupied. Houston real estate veteran Henry Hagendorf is president of Tanglewood, owner of a number of buildings near the Galleria and in suburban areas. Located at the intersection of Preston and Frankford roads, the property has access to the Dallas North Tollway and President George Bush Turnpike.